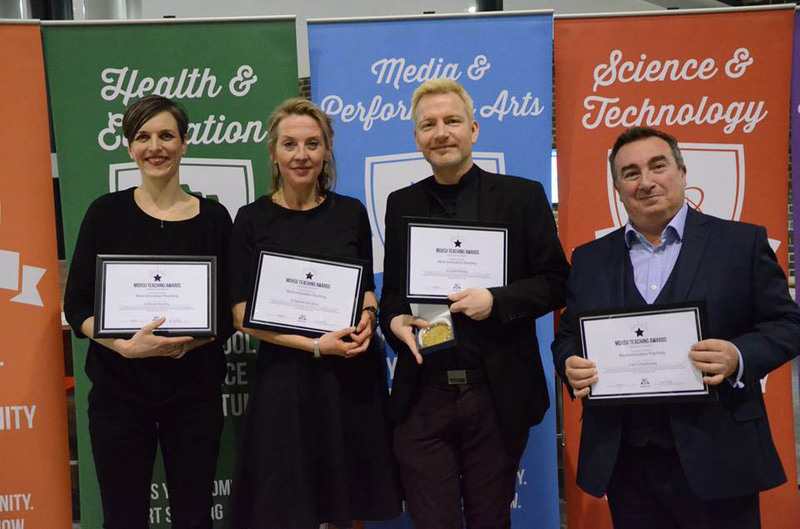 The winners of the annual Middlesex University Students’ Union Teaching Awards have been announced, after 1,300 nominations were received from the student body. A panel of students judged the nominations based on their content rather than their quality and awarded staff in five categories: Best Feedback, Best Support Staff, Most Innovative Teaching, Empowering Partnership and Most Inspiring Teacher. This year there was also a special award for Outstanding Compassion, based on the strength of one particular nomination. This was given to Richard Barry, Programme Leader in the Department of Psychology, by third-year student Amy Lucas, who had nominated him. “Thanks to Richard I'm on track for a first, will be coming back to Middlesex to complete my master’s, and I'll be leaving university with a purpose I didn't arrive with,” she said. Best Feedback went to Lecturer in Education and Early Childhood Dr Mona Sakr; Best Support Staff to Sports Activator Steve McMahon, who helped establish wheelchair basketball at Middlesex; Most Innovative Teaching to Director of Programmes for Counselling and Psychotherapy Dr David Westley for his “not-to-be-missed” lectures; and the Empowering Partnership award to Head of Mental Health, Social Work and Interprofessional Learning Dr Carmel Clancy for enabling partnership across the fields within the School of Health and Education. In the prestigious Most Inspiring Teacher category the judges could not decide between Senior Lecturer in Sociology Dr Emma Dowling and Senior Lecturer in Work Based Learning Dr Christine Eastman, who received a joint commendation. "A successful university is not just about amazing teachers or amazing students, but about the community that they create,” commented Vice-Chancellor Professor Tim Blackman, who spoke at the ceremony in the Rickett Quadrangle, hosted by Students’ Union Vice-Presidents Orla Hillary and André Thompson. The full rundown of shortlisted nominees and winners is available at mdxsu.com.